Is that it? – the Mayfield and Zinzan crew? 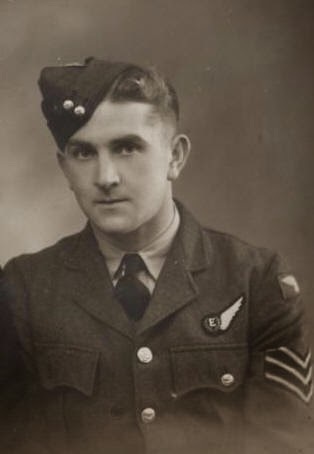 Having spent the majority of the weekend replying to contacts to the blog, and reading through Vic’s blog about his Dad Bob Jay, it suddenly has just struck me quite hard, how little I have moved on regarding finding more about Bob and the majority of the boys he flew with while at 75(NZ) Squadron RAF. Now, this is certainly not a ‘rattle out the cot’ moment and neither am I ignoring the amazing contacts that I HAVE made with relatives of some of the boys that flew with Bob – but it just feels that all the others have gone cold – so here is a reminder of who I am looking for and its a chance to repost some tags of their names. So please if you are a Twitter – please push this out there! First Tour 21st July 1943 to 14th December 1943. Sgt. Walter James Gee RNZAF NZ417207, Wireless Operator – 11 O.T.U and 1651 H.C.U. The discovery that Walter Gee was part of the original Mayfield crew came a little in the day and was actually a stupid oversight on my part at the time. Subsequent research suggests we have identified him in 2 pictures, one in initial training in New Zealand (with John Hulena) and a second taken at 1651 Conversion Unit. Jack Jarmy, the crew’s Navigator remembered him and that he was ‘older than the rest of the boys’. I am aware of the possible reason for Walters departure prior to Operations and his eventual arrival in the New Zealand Army, but I would like to talk to a relative to clarify his story. Sgt. F. W. Weaver RAFVR 1214092, Wireless Operator – 1 A.G.S. 1214092. SGT.WO/AG. Weavers, F. Attached from No.1 A.G.S. w.e.f. 20/7/43. (Authy. 25G/2502/63/P2/(78). Sgt. Weavers arrival at the Squadron a day before the rest of the crew has provided a significant amount of frustration to me. Technically as a wireless operator he should have been with the crew since their initial formation at 11 OTU. A relatively recent discovery regarding Walter Gee (see above) begins, I believe, to partially explain this discrepancy with the arrival date. I think that the sudden departure of Walter Gee (before an operational raid) allowed Sgt. Weaver into the crew to replace him. Unfortunately, Sgt. Weavers stay with the crew was short lived – on the third op to the Gironde Estuary on a Gardening raid, Sgt. Weaver apparently ‘cracked’. It is impossible to postulate why this happened – it might have been a slow build up or possibly related to the boy’s decision to attack a train on the return flight from the target. In discussion with Jack, he recalls the wireless operator losing the ability to speak – shaking at his station. The crew decided not to mention it on their return, deciding to see how Weavers was the following morning. It would appear that Weavers went to the Medical Officer and was deemed to be LMF (Lacking Moral Fibre) – such a diagnosis, as crudely simplistic as it was, meant only one thing, Sgt. Weavers was immediately removed from the base and was never seen or heard from again. F/Sgt. James William Scarll RNZAF NZ417237, Wireless Operator – ? Flew 2 ops with the Mayfield crew – August 10th , Nurenburg and August 12th to Turin, both as W/OP. 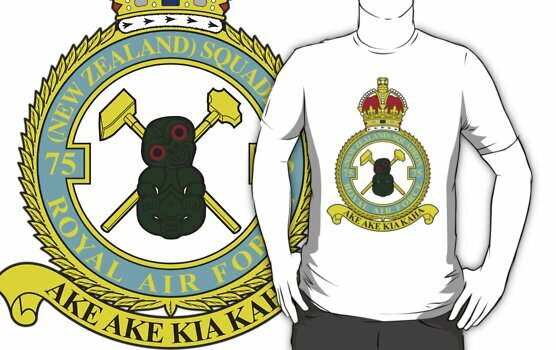 Arrived 75(NZ) Squadron 19th June 1943. Completed tour 29th January 1944. Crewed with George Duncan’s crew as W/Op. William arrived to become the Wireless Operator with the crew on their second op to Turin on the 16th August . William and Tom Derbyshire were in fact part of another ‘still born’ crew whose pilot, Sgt. Jack Thomson RNZAF NZ421145 was killed on his second ‘2nd dickie’ operation with the Bailie crew on the 3rd August to Hamburg. In sad truth, this in itself was not a rare occurrence, the remaining crew usually just being dispersed amongst the squadron or sometimes transferred to others. William completed all remaining ops with the crew. 26th March 1944. Colin Megson crew – Attack against targets at Courtai. Wireless Operator. 18th April 1944. Derek Warren crew – Mining in Kiel Bay. Wireless Operator. 22nd April 1944. Tom Buckley crew – Attack against targets at Dusseldorf. Wireless Operator. 24th April 1944. Tom Buckley crew – Attack against targets at Karlsruhe. Wireless Operator. 11th May 1944. Cecil Armstrong crew – Attack against targets ay Louvain. Wireless Operator. There is no subsequent record of William’s departure from the Squadron, or indeed where he subsequently was posted to. Sgt. A. Warburton RAFVR 1624186, Flight Engineer – 11 O.T.U and 1651 H.C.U. I litterally know nothing about Sgt. Warburton – he joined the crew at 11.O.T.U., he flew all Ops with the crew and vanishes……. Sgt. Bullen’s rapid departure from the crew is currently a mystery. Reading around the subject, it would appear that being sent to the Combined Re-selection Board was not, on paper a good thing at all and was usually a sign of an airman failing to perform or fit in within a crew or the squadron. Whilst only guessing, I think the nature of Bullen’s departure must be different to that of Walter Gee and Sgt. Weavers – Bullen’s departure is recorded, whereas the other 2 have no record of their leaving the squadron – one must assume because of the perceived ‘disgrace’ of their departure. Sgt. John Sebastian Hulena RNZAF NZ416427, Rear Gunner – 11 O.T.U and 1651 H.C.U. NZ416427 Sgt. A/G Hulena, J Posted from No.1651 C.U. w.e.f. 21 July 43. Authority P/N. 3G/855/43 dated 19/7/43 to 75(NZ) Squadron RAF. John was born on the 8th June 1913 in Oxford, North Canterbury, New Zealand. He is listed on the passenger rosta of the ‘Bloemfontein’, which sailed from Wellington and arrived in San Francisco in March 1942, by way of travelling to his final destination in Canada for aircrew training. The earliest I can specify a training point is No.11 O.T.U at Wescott on the 6th April 1943 – this is based on the assumption that John was the single rear gunner that the initial OTU crew was based on (a second gunner would join at the Conversion Unit, simply because the Wellington bombers used at OTU only had a single gunnery position). 9th June is the last logged flight at 11 O.T.U. On the 14th June, John married Beatrice Jane Madams in Aylesbury, Buckinghamshire. Beatrice was an RAF nurse, who originaly came from Manchester. 26th June posted 1651 Conversion Unit, Waterbeach. Posted to No.17 Operational Training Unit (17 O.T.U) with effect from 15th December 1943. I currently do not know what John did between his arrival at 17 OTU and his arrival at 12PDRC in June of 1945. Based on Allan, Bob and Jack, I must assume that he flew another tour with another squadron. The only additional information regarding John I have within this period is that he was appointed to commission with rank of Pilot Officer with effect from 21st January 1944 and then to flying Officer by 21st 7th 1944. To No.12 Personnel Depot & Receiving Centre (PD&RC), Padgate Warrington, 7th June 1945. Disembarked in New Zealand 4th August 1945. Transferred to Reserve 9th November 1945. It is believed that John came from a farming family – his father is listed as a member of a World Record sheep shearing team – After returning from the war, John returned to being a farmer in the Manawatu area then came up to Corrmandel, farmed for a while and retired. John passed away 31st August 1979 in Thames, Coromodel. Beatrice passed away 4th March 1998. Based on what I have discovered of the movements of Allan Mayfield, Jack Jarmy , John Hulena and Tom Darbyshire – it would seem fairly certain that the other airmen in the Mayfield crew (perhaps Walter Gee and Sgt. Weavers aside), possibly, after instructing went back to complete another tour. All I know about them at this point is that none of the were killed on Operations. Bob returned to Mepal and as it would prove out, finally solving the rotating number of Air Bombers that the Zinzan crew had gone through since their original Air Bomber, Ken Mesure broke his leg on landing after the crew’s first Op to Witten on the 12th of December 1944. 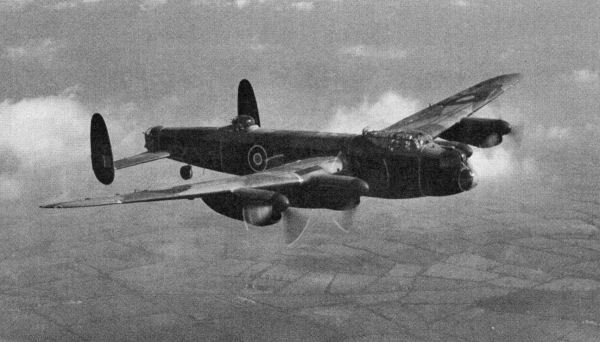 I have observed elsewhere that even factoring in the turnover of Air Bombers, the crew was large by constituent participation – Herbert Steele, the crew’s original Rear Gunner seems to leave – for no clear reason – only to be replaced by a succession of other airmen. Reported to Rotorua Intial Training Wing (ITW) 26th November 1942 as Leading Air Cadet A/P Gp V.
To Harewood No.3 Elementary Flying Training School (3 EFTS) 9th January 1943. Embarked for Canada for pilot training 5th May 1943. Disembarked & attached to Royal Canadian Airforce (RCAF) with effect from 19th May 1943. To No. 4 Service Flying Training School (SFTS) (date unknown), Saskatoon. To No.15 SFTS 14th June 1943, Claresholm. Awarded flying badge & promoted to Sgt. Pilot 15th October 1943 (to F/Sgt 15th April 1944). To 1 “Y” Depot (date unknown), Halifax, Nova Scotia (or possibly Lachine, Quebec). Embarked for UK (date unknown). Disembarked UK and to No.12 Personnel Reception Center (12PRC), Padgate Warrington, 10th November 1944. To 18 (Pilot) Advanced Flying Unit (18(P)AFU) 25th April 1944. To No.16 Operational training Unit (16OTU) 17th July 1944. To 51 Base 29th September 1944, to 1668 Conversion Unit 13th October 1944. 3rd December 1944 arrived on posting from 1668 Conversion Unit to 75(NZ) Squadron. Vernon flew 30 ops with 75(NZ) Squadron, including a ‘second dickie’ flight to Osterfeld on the 11th December 1944 with the crew of F/Lt. Wylie Wakelin. Vernon was once again posted to No.12 Personnel Depot and Receiving Center (12PD&RC). Disembarked New Zealand No. 2 Pre-Deployment Training (2 PDT) 25th July 1945. Ceased to be attached to RAF with effect from 13th August 1945. To Northern Non-Effective Pool (N/NEP) [Cat 17] 17th July 1945. Transferred to Reserve A1 November 1st 1945. Commission terminated June 1st 1956. Vernon passed away on the 21st March 2007 at Middlemore Hospital, Auckland, New Zealand. His funeral service was held at Mauku. An original member of the Zinzan crew – nothing else known. I am assuming that Herbert Steele was part of the original crew when they joined the crew from 1668 CU. I currently have no explanation for his absence for 3 ops and then his essential disappearance from the crew rosta for the rest of the tour. His 19 raids with the crew were: Witten 12/12/44, Trier 21/12/44, Vohwinkle 31/12/44, Dortmund 3/1/45, Ludwigshaven 5/1/44, Saarbrucken 13/1/44, Langendreer 15/1/45, Wanne Eickel 16/1/45, Munchen Gladbach 1/2/45, Weisbaden 2/2/45, Hohenbudberg 9/12/45, Wesel 19/2/45, Dortmund 20/2/45, Koln 2/3/45 (aborted), Wanne Eickel 4/3/45, Salzbergen 6/3/45, Dessau 7/3/45, Auguste Vicktoria 17/3/45. Part of the original crew that arrived from 1668 CU, Ken was unfortunate enough to badly break his leg during a very heavy landing after the crew’s first raid to Witten – he never flew with the crew again. Strangely, Ken is listed on the 26th of June as returning to the Squadron from No. 33 Base (N.E.S) – I am guessing and would be grateful of clarification, but I think N.E.S must stand for non/ not effective strength. His single raid with the Zinzan crew was: Witten 12/12/44. His 4 raids with the crew were: Wesel 23/3/45, Hallon Dorf 26/3/45, Meresberg 4/4/45, Potsdam 14/4/45. Sgt. Watts is a bit of a puzzle. A while back I was contacted by the son of Frank Watts and we discussed his time with the Squadron and the reasons for his movement from the Wakelin crew to finish his tour with the Clement crew. Records suggest 2 individuals on Squadron by the name of Watts at the time. Looking at a list of Ops by ‘Sgt’ Watt(s)’ I think this is the case – there are duplicative overlaps between the Clement and Wakelin crews where a Sgt. Watts is Mid Upper Gunner and Rear Gunner simultaneously. With 75(NZ) from 20th October 1944 to April 1945. Initially crewed with Wylie James Wakelin as MU/Gnr then to crew of David St.Clair Clement as R/Gnr. His 2 raids with the Zinzan crew were: Dresden 13/2/45, Gelsenkirchen 10/3/45. 22nd January to May 1945. Trained as mid-under-guner but c/w John Mathers Bailey as R/Gnr. He is noted as being posted to the Squadron with another A/G from Feltwell on the 22nd of January. His 2 raids with the crew were: Chemnitz 14/2/45 and Wesel 10/3/45. His single raid with the Zinzan crew was: Dortmund 12/3/45. December 1944 to June 1945. c/w R B Crawford as R/Gnr. Subsequent information has come to light, including photographs of the Crawford crew, which allows a reasoned guess at least to who in the pictures is Sgt. Tutty. 25th May 1944 to 7th February 1945. Posted in from 31 Base, crewed with Squadron Leader Neilson Arnold Williamson (OC “C” Flight), on ops 30/6 – 14-15/10/44, also flew four ops with F/O John Keillor Aitken 11 – 14/9/44, with F/O Vernon Zinzan 3/1/45 (and probably flew with other crews). He was then posted to 30 OTU (presume as instructor) then to to 12 PD&RC 6/6, disemb NZ (2 PDT) 25/7/45, to C/NEP 27/7, tfd to Reserve A1 8/11/45, to General Reserve. Emb for Canada 24/12/42, qualified as AB and appointed to temp comm. in rank of P/O w.e.f. 11/6/43, to F/O 11/12/43, to F/L 11/6/45. Postwar an Engineer with Air New Zealand. Graham passed away in Christchurch, New Zealand Monday 12th January 1998, aged 76, buried 14th January, Ruru Lawn Cemetery, Block 11, Plot 178. 16th January to May 1945 as Mid-Under Gunner. “This air gunner has completed numerous operations against the enemy, in the course of which he has invariably displayed the utmost fortitude, courage and devotion to duty”. John arrived at Mepal on the 18th of July 1944, originally crewing with the Jeffery Baines crew. His 5 raids with the Zinzan crew were: Trier 21/12/44, Vohwinkle 31/12/44, Vohwinkle 1/1/45, Ludwigshaven 5/1/45, Langedreer 15/1/45. 21st December 1944 to 3rd February (when he was injured during a crash landing) 1945. c/w Roderick Bruce Crawford. On the 3rd February, Sgt Bullock was one of 5 crew who were injured on landing after a raid to Dortmund. Sgt. Bullocks single Op with the Zinzan crew was actually before this date and one must assume therefore was fill in for the then rotating A/B position in the Zinzan crew prior to Bob’s arrival in February 1945. His single Op with the Zinzan crew was 13/1/45 Saarbrucken. Grant Russell, who was the 75(NZ) Squadron Bombing Leader from 9th March 1944 to 5th May 1945. In this role, which seems more of a training and admin role, he would occasionally fly op’s as fill-in for ill or absent A/B’s. During his stay with the Squadron he flew with amongst others, the Stevenson and Zinzan crew. He also flew a number of times with the Thomson crew – Don Thomson was his old Pilot from O.T.U. and 218 Squadron, who also ended up at 75(NZ) on his second tour. ‘Flight No 35. Wanne-Einkle, Germany. Date 16/1/1945. Load carried: 1 x 4,0001b H.C. bomb, plus 12 x 500 M64 bombs, plus 4 x 2501b G.P. bombs1. Total weight = 11,466 lbs or 5.12 tons. This was a night flight and once again against Germany. Over the target, things became exciting and exasperating as I unhappily watched a Lancaster at our level, and only a few yards in front, explode into many small pieces. Very unnerving. The Germans had assessed our level of flying and great masses of enemy shells were exploding all around us. But it was always like that at every target. Pilots had to have wonderful nerve control to be able to fly their aircraft straight and level under such conditions, yet they all did. It was absolutely necessary, otherwise bomb aimers would never be able to take aim at the target. At each pre-flight briefing, a certain point of a broad target was invariably indicated as the aiming point and that aiming point was usually a very industrious war producing business. We were coned by search lights just as we cleared the target but my very experi­enced pilot quickly whisked us out of that by dropping the nose of our kite, diving downwards while banking steeply to port and cleared the cone of search lights. We then swooped smartly up to 20,000ft again from which height I had just dropped our load. Our considerably reduced all up weight rendered our kite readily manoeuvrable. Jerry must have been as thick as two planks not to have got the British message by now. But we would keep on and on until he really and fully understood. This night was my pilot’s second consecutive almost all-night flight, all of which was of course under high tension. Coming in to land, he made a slight miscalculation. He levelled out while the aircraft was still some 15 or so feet above the runway, causing the kite to drop with a considerable thump. Our heavy landing was at 15 minutes after four in the morning. No one was actually hurt. An inspection in daylight revealed no damage to the aircraft. The strong construction only served to heighten my admiration of Lancasters. Further proof that it was still in good shape was illustrated by the fact that it did another all-night trip the very next night with another crew and returned safely to Base’. 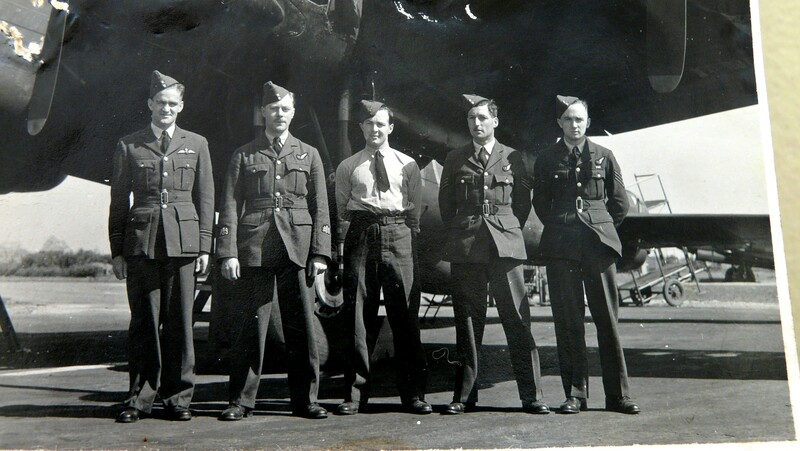 This entry was posted in general and tagged 1943, 1944, 1945, 75(NZ) Squadron RAF, A. Ackroyd, A. Warburton, Aviation, Bomber Command, C. Bullock, Charles Frederick Green, F. W. Weaver, F. Watts, Frank Watts, Graham Coull, Grant Alan Russell, H Hutchinson, Herbert Steele, Herbert Winn, J. McManus, J. Tutty, James George Sydney Coote, James Henry Murphy, James William Scarll, John Kennedy Clements, John Sebastian Hulena, Kenneth Cyril Mesure, Kenneth William John Tugwell, Mayfield crew 1943, Mepal, R. Bullen, Robert John Torbitt, Vernon John 'Taffy' Zinzan, Walter James Gee, William John Lake, World War 2, Zinzan crew 1945 on November 29, 2015 by 75nzsquadron. ‘Some of the Bomb Aimers of 75(NZ) Squadron, yours truely in the front row, 5th from left as you look at the photograph. A Lancaster bomber in the background’. Many thanks to Chris for this photograph from ‘Dying for Democracy’, written and self published by Grant Russell, who was the 75(NZ) Squadron Bombing Leader from March 44 to May 45. In this role, which seems more of a training and admin role, he would occasionally fly op’s as fill-in for ill or absent A/B’s. During his stay with the Squadron he flew with amongst others, the Stevenson and Zinzan crew. He also flew a number of times with the Thomson crew – Don Thomson was his old Pilot from OTU and 218 Squadron, who ended up at 75(NZ) on his second tour. I must confess, I was quite taken a back and excited when I saw the photograph, titled as it is ‘Some of the Bomb Aimers from 75(NZ) Squadron – especially as I instantly saw the grinning face of Jimmy Wood (Russell Bank’s A/B)………But no, sadly my Father is not in it. Grant was one of a number of Air Bombers that flew with Vernon and the boys, before my Father returned to Mepal to become their new, regular Air Bomber. I can’t help but smile at Grant’s description of Vernon’s landing – Ken Mesure was lost from the crew after their first Op owing to a heavy landing and Dougie Williamson has also recounted to me a particularly ‘acrobatic’ landing by Vernon on another occasion. Despite these recorded mishaps, Vernon and his original crew completed their 1st tour before the end of the war, including 21 with Dad as Air Bomber, so perhaps, it suggests that style didn’t count for much after being in the air for over 5 hours. Now of course, this photograph, which until yesterday I didn’t even know the existence of, means that there could potentially be more equivalent group photographs of this kind, collecting together the different aircrew trades of the Squadron. 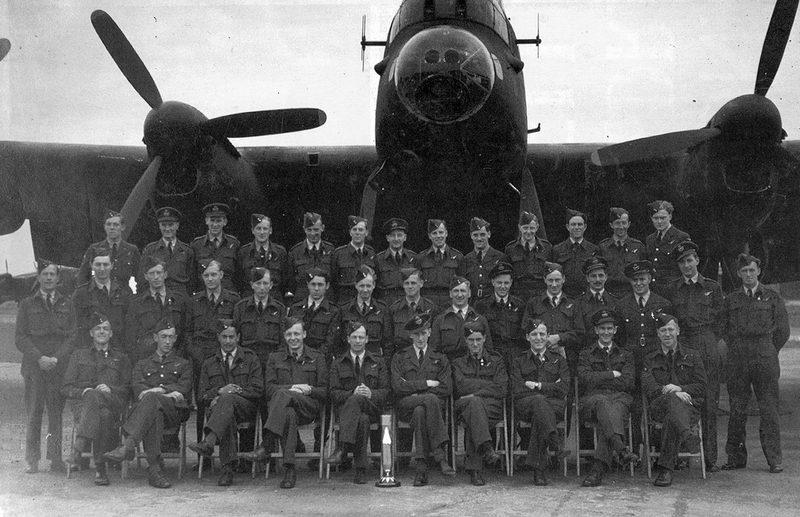 Individuals present in the picture would suggest March 1945 and possibly/ perhaps the same time when the full Squadron and Flight group photographs were taken – though, in the absence of a concrete date for ANY of these photographs this is conjecture. Please please, please, if anybody has an original copy of this group photograph, or indeed one of possibly the equivalent for another trade group taken at the same time, I would love to have a copy to add to the ‘Group Photographs’ section of the blog. This entry was posted in general and tagged Bomb Aimer, Bomb Aimers of 75(NZ) Squadron 1945, Dying for Democracy, Grant Alan Russell, March 1945, Robert Douglas 'Jock' Sommerville, Vernon John 'Taffy' Zinzan on February 8, 2014 by 75nzsquadron.